The Guerrilla and Yarsa trails offer a thrilling journey through the heartland of post-conflict territory. The routes passes through Myagdi, Rukum, and Rolpa, spectacular districts with low population densities at the epicenter of Nepal’s ten year conflict (1996 to 2006), and homeland to many revolutionaries. At one time during this period, the region had an autonomous government in Banphikot, Rukum. 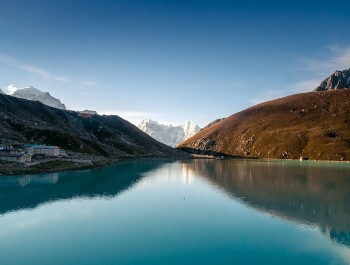 The land is blessed with wide-ranging natural resources and biodiversity, exemplified by its wildlife (60% of Dhorpatan Reserve lies in Rukum), captivating waterfalls, rivers, caves, and delightful lakes as well as the towering, sublime Himalaya to the north. Along the way, visit many sites that figure prominently in recent history in an area of immense peace, beauty and hospitality that is open, ready and willing to host tourists. 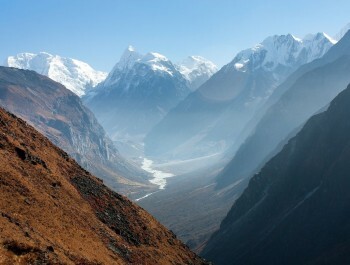 The trails are for the unique traveler seeking an experience that could long ago be had in Nepal’s well-established areas. 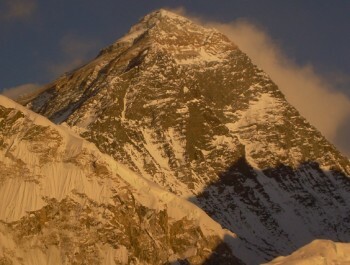 This region will also be a pleasure to return visitors and all Nepal lovers. 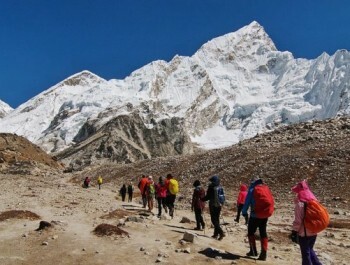 While visiting this otherworldly area, another name may come to mind: The Shangri-La Trek…follow it and be transported to a timeless land, after which the popular regions might lose appeal in favor of more off-beat travels in the undiscovered hills of Nepal, land of legendary hospitality. Day 1: Arriving in Kathmandu and meet with our representative at the airport and transfer to Hotel. Welcome drink and short briefing about trek, equipment check and relax. Day 2: Fly from Kathmandu to Pokhara in the morning and short sightseeing trip in Pokhara Valley, stay overnight at Hotel. Day 3: Morning drive from Pokhara to Beni 830m by private car which takes 4 hours and stay overnight at Hotel. Morning from the Myagdi district headquarters you follow a gravel road for 24km to Darbang and start walking. 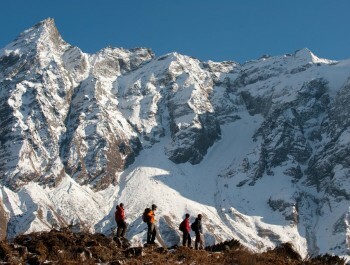 Takam is a three hour walk away with Gurjal Himal towering overhead. Stay overnight at Lodge. This is where the scenery starts getting even more dramatic. This is what Nepal used to be like before the trekkers got here. Locals are not used to foreigners and have a lot of stories to tell about the war. Stay overnight at Lodge. 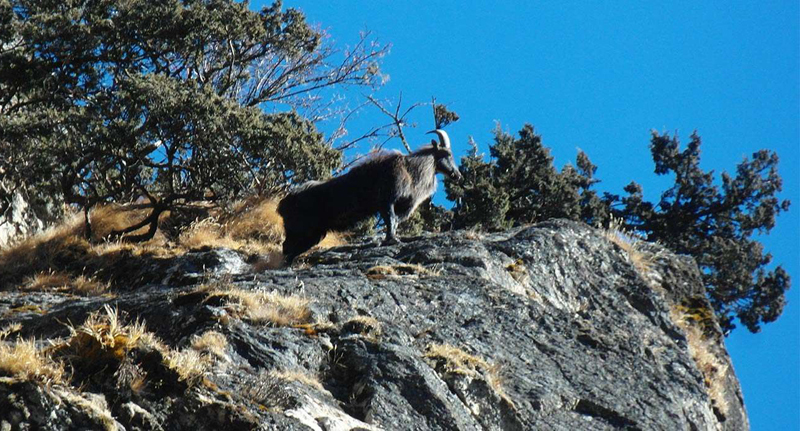 Climb through dense pine forests, with musk deer darting in the undergrowth. 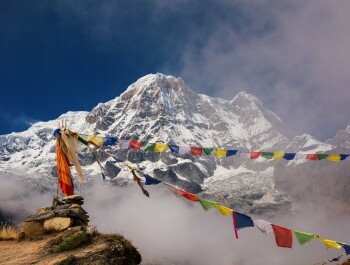 The meadows on the ridge offer 180 degree views of Dhaulagiri the entire range up to Churen Himal in the west. Stay overnight at Lodge. You cross over from Myagdi to Baglung and into the former Tibetan refugee camp which was serviced by an airfield built by the Swiss in the 1950s. 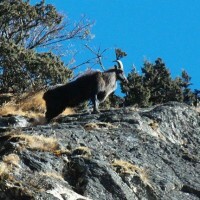 This is also the entrance to Dhorpatan, a Hunting Reserve, where you can spot mountain goats and blue sheep (Bharal). Stay overnight at Lodge. This is a paradise for birds. Watch danphes pheasants, and other migratory species that you have seen only in bird guides. Hard to imagine that people fought a war here. There are cow sheds in the monsoon, but in the winter these high pastures are deserted. Stay overnight at Lodge. Cross over from Baglung to Rukum into Magar country and enter the former Maoist base area. There are dense forests all the way, so it must have been easy to hide here from the helicopter patrols. The villages are picturesque and there is always some kind of Magar festival going on. Stay overnight at Lodge. Walk to Lukum in Rukum, a village populated only by Magars and Dalits (low cast). This is about as medieval as it gets in Nepal nowadays. Stay overnight at Lodge. Thabang is the cradle of the Maoist revolution. It was damaged in army attacks and parts of the town were flattened by ‘tora bora’ mortar shells dropped from helicopters. There has been some development of infrastructure after the war ended, and the people are eager and friendly. Stay overnight at Lodge. The highest point in Jaljale is Dharampani (3900m) and there is a great view from Api and Saipal in the west to Dhaulagiri in the east. Stay overnight at Lodge. Now we’re moving down from the high mountains and the villages are ethnically mixed. Stay overnight at Lodge. This is where we finally get to Rolpa and the road head. Rolpa was also a rebel base area and for many of the ten years of war under total Maoist control. You can eat at one of the many commune restaurants run by Maoist cooperative, where staffs are relatives of those who were killed in the fighting. Stay overnight at Lodge. Day 15: Drive from Sulichaur to Kathmandu by private car which almost takes 9 hours and transfer to Hotel. Day 16: After breakfast transfer to international airport as per your flight schedule. • Hotel accommodation in Kathmandu and Biratnagar with breakfast as per the programme. • Three meals a day (Breakfast, Lunch, Dinner) with hot beverage and snacks whilst on trekking. 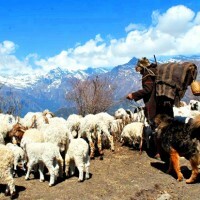 • Cosy guesthouse accommodation whilst on trekking. • Kanchanjunga Conservation Area permit fees. • An experienced fluent English speaking guide, trained and licenced by Government of Nepal, Ministry of Tourism & Civil Aviation. 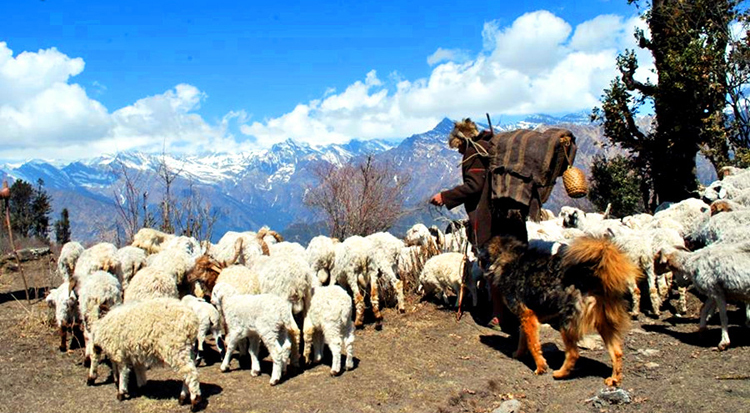 • Highly experienced trekking porter. • Staff food, accommodation, clothing, salary & insurance. • All necessary ground transportation. • Farewell dinner in Kathmandu at typical Nepali restaurant. • Bar and beverage bills. • Gratitude (tip) for staff. Conditions stated in the itinerary are for the visitors who prefer full package programme. At the same time, we also serve you based on your choice. The selection of itineraries and the staff depends on your choice and financial procurement. We have options for any partial visit as per your requirement regarding your interest and financial condition.